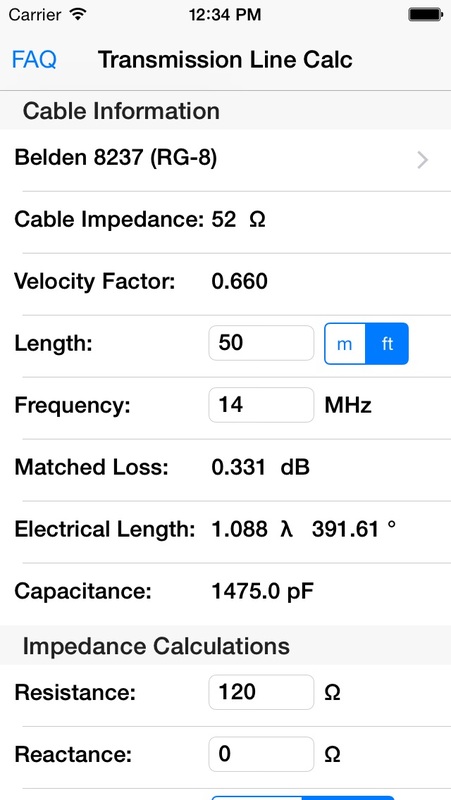 Transmission Line Calc for the iPhone has been updated. 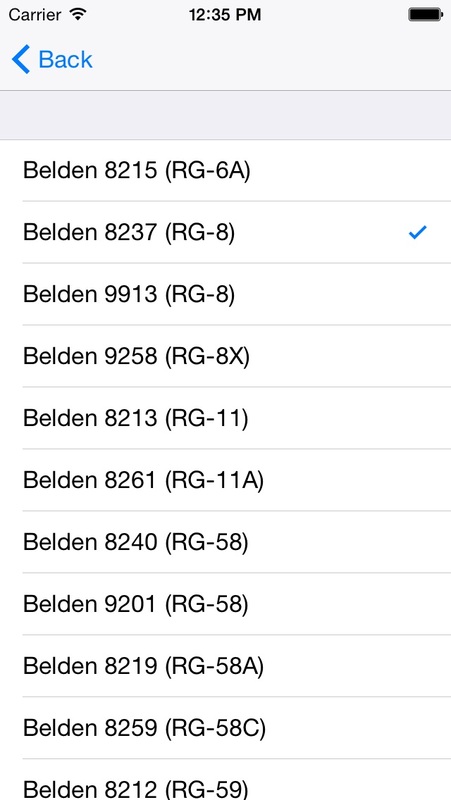 In addition to adding data for several types of rigid line, the app is now native for the iPad as well. Plus you can perform calculations for custom types of transmission line by computing and entering the total line loss, as well as the velocity factor and impedance. 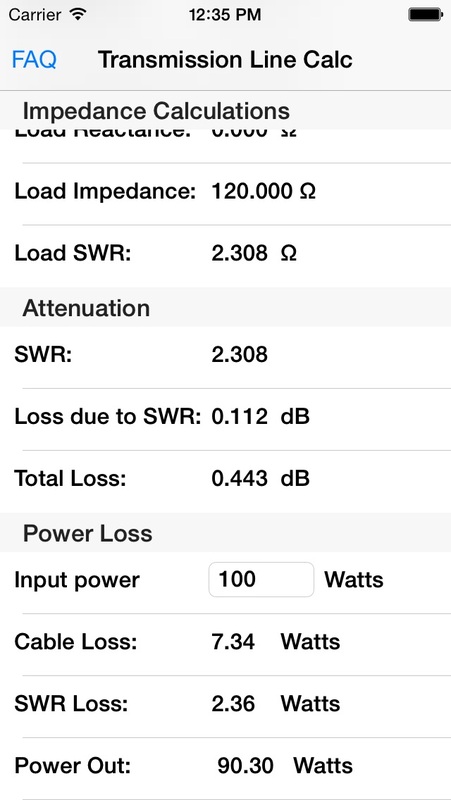 Transmission Line Calc allows you to perform several calculations related to RF transmission Lines. After selecting from one of 53 different transmission lines, you specify the length and operating frequency. The characteristic impedance and velocity factor of the cable is displayed, and the attenuation (loss) as well as electrical length (in wavelengths and degrees) is displayed. 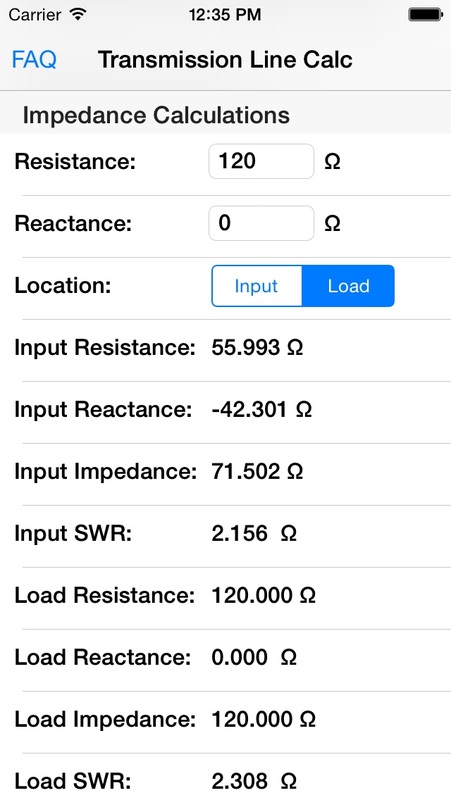 Next, you can specify the impedance (both resistive and reactive) and whether this is measured at the input to the transmission line or the load. The impedance at the other end of the transmission line is calculated, as well as the SWR (Standing Wave Ratio) for both ends. The loss due to the SWR is then calculated and displayed, as well as the total loss. Next, you can enter in the input power, the loss due to the cable as well as SWR is displayed, and the net power out.